We walk regularly on Tuesday, Saturday and Sunday, in Essex and London with visits into Kent too. London provides a great place to walk and is ideal during the winter months when the countryside can be difficult to walk in. But South Essex provides walks across farmland, Country Parks with the back drop of Country Houses, There are many fine views across the Thames or towards London. And many places to refresh oneself at the end of a walk. Our group does take advantage of our location! We are always pleased to meet new friends. By offering a variety of walking experiences. 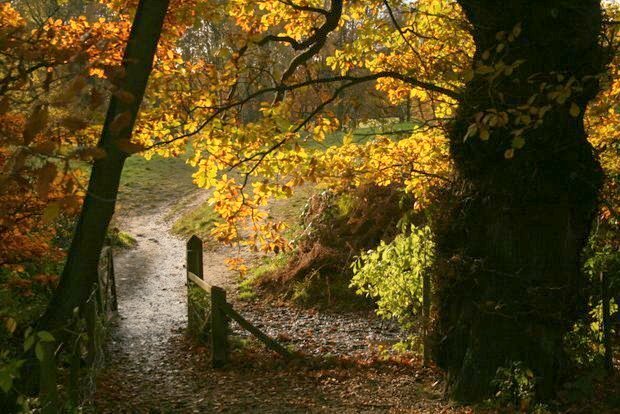 Have a look at our walks programme and there will be something you will find appealing. In the Summer months we have regular evening walks. We work closely with the London Borough of Havering in a structured approach to path maintenance. If you would like to take part in this enjoyable activity you would be welcome. Just contact by e mail and we will send details of the next maintenace event. 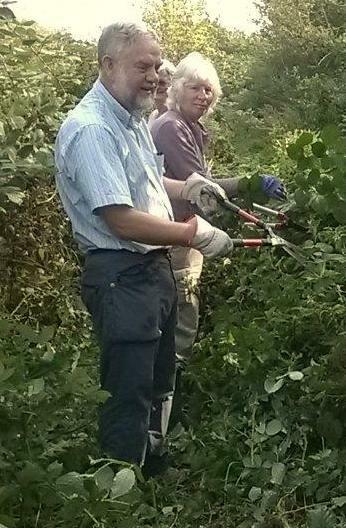 Our photo, by Jean Reed, shows some our volunteers working hard in North Romford. We are always pleased to see new friends. If you would like to receive our full programme please contact us, or download from our website on the Newsletter page. Unless stated, Registered Assistance Dogs only please. Join the Ramblers and become a member of Havering & East London Group.